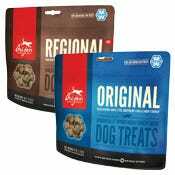 Orijen has developed a revolution in the pet food industry. 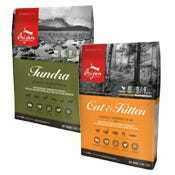 Their mission is to "...make biologically appropriate™ pet foods from fresh regional ingredients." 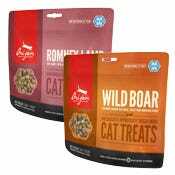 Their "Biologically Appropriate™" philosophy is based on providing your pets in accordance with their evolutionary adaptation to fresh meat and protein-rich diets. Their ingredients are never outsourced, and they focus on sustainably-raised ingredients that are "fit for human consumption. 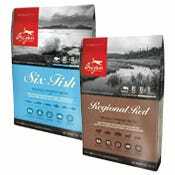 These ingredients are delivered to their kitchen fresh each day, so your pet's food is not only nutritionally rich, but bursting with fresh flavours.